Apart from being tasty, peanuts have several health benefits which make them a popular choice in many Indian kitchens. Whether you are in Maharashtra, Andhra Pradesh, Karnataka, or Tamilnadu you will find many local favourite recipes call for the use of peanuts. If nothing else, plain peanuts boiled in salt water have a taste of their own! We too in my house use peanuts in a variety of dishes. 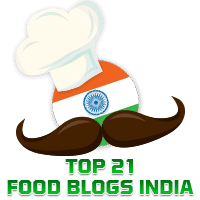 Elsewhere in this blog, amongst many others, you will find recipes for Peanut & Garlic Chutney , Congress Kadalekayi, and Groundnut Chutney. Today's recipe is for Verkadalai Sundal. As you would have guessed by now, Verkadalai is what peanuts ( or groundnuts as we often call them in India) are called in Tamil. This sundal can be served as a light snack. In South India, this is popularly made during festivals like Navratri etc. Soak the peanuts in adequate water for 2-3 hours.